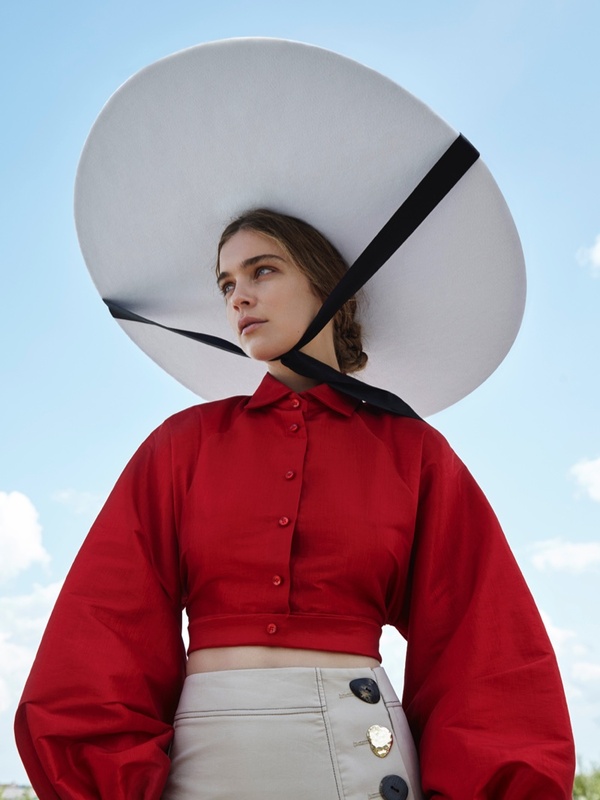 Kim Noorda takes on statement hats for the December 2017 issue of L’Officiel Netherlands. Captured by Nicky Onderwater, the Dutch model poses in rustic styles with bold accessories. Stylist Tricja Styling makes sure Kim stands out in fitted coats, wide-leg pants and puffed-sleeve tops. Posing outdoors, the brunette stunner is a natural beauty for this editorial.